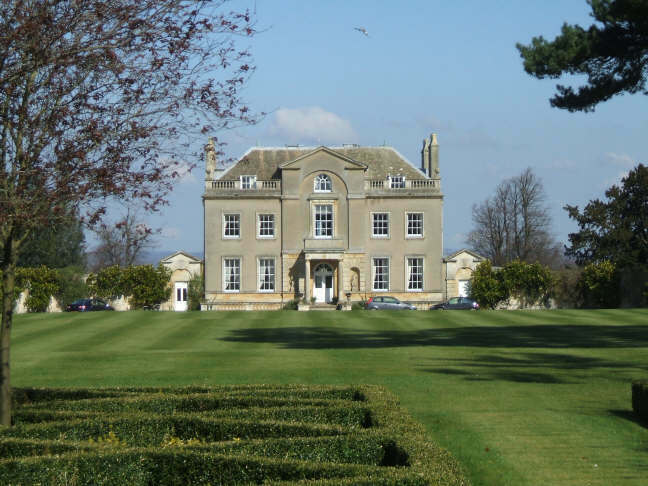 Faringdon House - Faringdon Community Website. 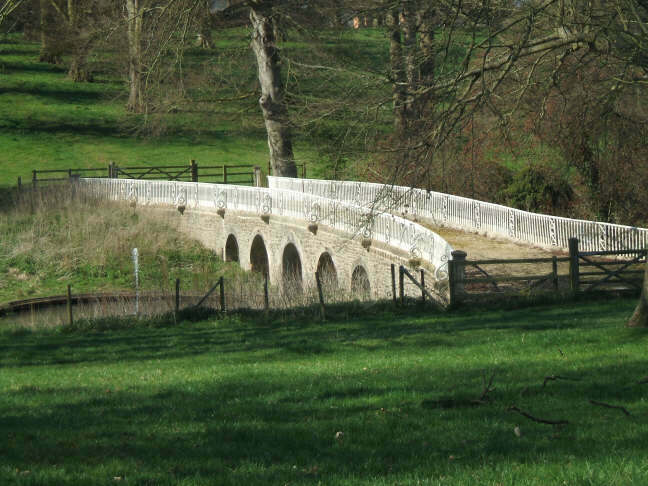 The Berners Estate Company was set up in 1922 by Lord Berners to manage his manorial estate, approximating to the monastic lands which belonged to medieval Beaulieu Abbey, on the slope northwards down to the Thames. During his life it yielded about c7,000 a year; it now belongs to his heir, Robert Heber-Percy's, only granddaughter, who has the title of Lord of the Manor of Faringdon . The present house was begun about 1780, near the site, north of All Saints' Church, of the old house which had been heavily damaged during the Civil War. The town gate, with good piers of c.1700, leads to the south entrance front of five bays. 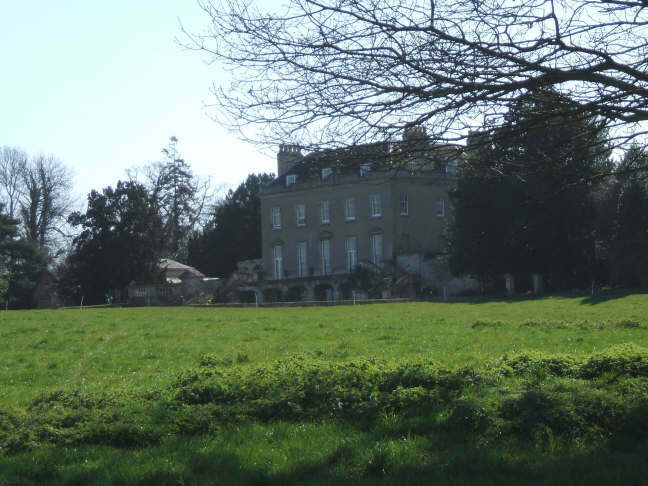 Even in evening sunshine, it is a dull stuccoed block, raised on a terrace in a flanking of trees at the end of a long stretch of mown grass. It has two storeys and five bays; over the attic storey, a hipped roof interrupted by the pediment. The interior, not open to the public, has a "fine" entrance hall and some "elegant" stucco work. Part has been converted into flats. The orangery and the park (with lake, summer house and monolithic Egyptian statue) are very occasionally opened to the public.